Crack cocaine is an extremely powerful and addictive stimulant. Its effects are felt almost immediately and include heightened alertness, euphoria, loss of appetite, and increased sociability. Crack’s effects are intense but wear off within a few minutes to an hour, and people will repeatedly use the drug to prolong the effects, leading to addiction. Signs of crack addiction include burns on lips or hands, possession of small bags or pipes, picking or scratching skin, restlessness, insomnia, and paranoia. Crack abuse can lead to severe withdrawal symptoms and cravings, and many people will continue to use the drug to get rid of these symptoms. Crack cocaine is an extremely potent central nervous system stimulant. It is made by processing cocaine with sodium bicarbonate (baking soda) to form small rocks, which can be smoked. The smoking of crack cocaine results in very rapid absorption of the drug into the bloodstream and an intense but fleeting high. It is believed that crack’s primary mechanism of action is in boosting the activity of a neurotransmitter in the brain known as dopamine.1, 2 More specifically, crack blocks the reuptake of dopamine from presynaptic nerve cell endings, allowing it to remain active within the synapse for a longer duration. When reuptake is inhibited, concentrations of dopamine within the synapse increase, allowing for more of the neurotransmitter to bind to dopamine receptor proteins. Crack triggers intense sensations of gratification and euphoria through this excess dopamine within the synapse and amplified signal from the dopamine receptors. Crack, which is a crystalized form of cocaine, is heated and smoked by inhaling the vapors or smoke into the lungs. Its effects are experienced almost immediately and can last anywhere from a few minutes to an hour. Learn more about crack cocaine effects. Crack can destroy lives. Some users end up homeless, stealing money for more crack and rarely eating. Learn more about crack and hear what others have to say about the drug on the Recovery.org forum. Read more about crack on our forum. Crack use can lead to physical and psychological dependence. Someone who is addicted to crack will continue to use the drug despite negative consequences, such as increasing health problems, legal problems, risky behaviors, and inability to meet demands at work, home, or school. Burns on lips or hands from holding the hot crack pipe. Small plastic bags or pipes lying around. Learn more about crack addiction. Crack is highly addictive – even more so than cocaine – due to its potency and the intense high achieved via its most common route of administration (smoking). The high is instantaneous and intense, but it doesn’t last for long. As a result, most crack users will smoke it repeatedly as soon as the effects wear off. This can lead very quickly to tolerance, dependence, and addiction. Crack users often experience withdrawal symptoms if they stop using crack. They will continue to smoke it to postpone the onset of these unwanted symptoms. Over time, this can quickly lead to an addiction. Learn more about crack withdrawal. It is fairly common to overdose on crack due to the potency and intensity of the high, as well as the repeated use of the drug in a short period of time. If you or someone you know is suffering from crack overdose, call 911 immediately or visit the local emergency room. Learn more about crack overdose. Crack is a very difficult addiction to overcome on your own. Many people require treatment in a substance addiction program. Residential or inpatient treatment centers. This may be the best option if you have developed a serious addiction to crack and are using daily. You live at the treatment facility and are able to work on getting sober in a distraction-free environment. Outpatient treatment centers. These programs allow you to live at home while going through rehabilitation. However, they do not offer the same level of care as an inpatient program, and you may be returning to your using environment – which can make recovery difficult. 12-step treatment. With a twelve-step program, you meet regularly with people that are in recovery for crack addiction or another substance abuse problem. Members work through a set of 12 recovery steps to deal with their addictions. Cocaine Anonymous is a 12-step program tailored to people who abuse cocaine and crack. Learn more about crack addiction treatment. 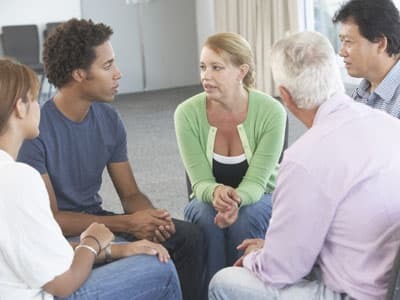 Finding the right crack addiction treatment program means learning about the recovery options, thinking about the cost and looking at how to maintain your sobriety in the long term. If you choose a program without understanding how the different treatment options work, how much they cost and what’s expected of you, you may not get the most out of your experience in rehab. Whether you have insurance and how much it covers. How long the program lasts. Whether it’s an inpatient, outpatient or 12-step program. Whether it’s located near the beach, in the mountains or in an urban area (these programs all tend to cost more). To find out what kind of rehab program your insurance will cover, call 1-888-319-2606 Who Answers? . To get more information on rehabilitation options without insurance, call the Substance Abuse and Mental Health Services Administration’s national helpline. Almost 5,500 cocaine overdose deaths were recorded in 2014. If you or someone you love is struggling with crack abuse, call 1-888-319-2606 Who Answers? to speak with a treatment support specialist, who can answer your rehab program questions.
. Karila L, Zarmdini R, Petit A, Lafaye G, Lowenstein W, Reynaud M. (2014). Crack addiction: Current data for the clinician. Presse Med 43:9-17.
. Spronk DB, van Wel JH, Ramaekers JG, Verkes RJ. (2013). Characterizing the cognitive effects of crack: A comprehensive review. Neurosci Biobehav Rev 37:1838-1859.
. Badiani A, Spagnolo PA. (2013). Role of environmental factors in crack addiction. Curr Pharm Des 19:6996-7008.
. American Psychiatric Association. (2013). Diagnostic and Statistical Manual of Mental Disorders, 5th ed. Arlington, VA American Psychiatric Publishing.
. University of Maryland Center for Substance Abuse Research. (2013). Crack Cocaine.
. Lloyd, S., Faherty, C., & Smeyne, R. (2006). Adult and in utero exposure to cocaine alters sensitivity to the Parkinsonian toxin 1-methyl-4-phenyll-1,2,3,6-tetrahydropyridine. Neuroscience 137(3):905-13.
. Brody, S., Slovis, C., & Wrenn, K. (1990). Cocaine-related medical problems: Consecutive series of 233 patients. The American Journal of Medicine 88(4): 325-331.
. Johnston, L. D., O’ Malley, P. M., Bachman, J. G., Schulenberg, J. E. & Miech, R. A. (2016). Monitoring the Future national survey results on drug use, 1975-2015: Volume 2, College students and adults ages 19-55. Ann Arbor: Institute for Social Research, The University of Michigan.
. Substance Abuse and Mental Health Services Administration, Drug Abuse Warning Network, 2011: National Estimates of Drug-Related Emergency Department Visits. HHS Publication No. (SMA) 13-4760, DAWN Series D-39. Rockville, MD: Substance Abuse and Mental Health Services Administration, 2013.
. National Institute on Drug Abuse. (2015). Overdose Death Rates.